Intensive Behavioral Treatment: We provide ABA instructional staff who will provide between 9 to 30 hours of treatment per week. All ABA instructional staff are RBT certified. The focus of treatment is on developing language, cognitive, social, self-help, and play skills that are critical to your child’s success. 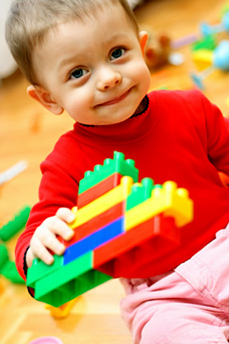 This intensive individualized treatment maximizes your child’s progress in these skill areas. Clinical and Case Management: Clinical and case management is provided by Board Certified BCBA’s and BCaBA’s licensed by the Virginia Board of Medicine. Services include curriculum assessment, program development, evaluation, and refinement. The case manager conducts monthly meetings with the family and instructional team to assess ongoing progress and make curriculum changes. During meetings questions may be addressed regarding behaviors, curriculum progress and other parental concerns. Monthly session observations allow the case manager to further assess the child’s progress and curriculum and to provide his or her team of instructors with ongoing training. Case managers can also provide school observations, collaboration with school staff and other service providers, and assistance with IEP development.